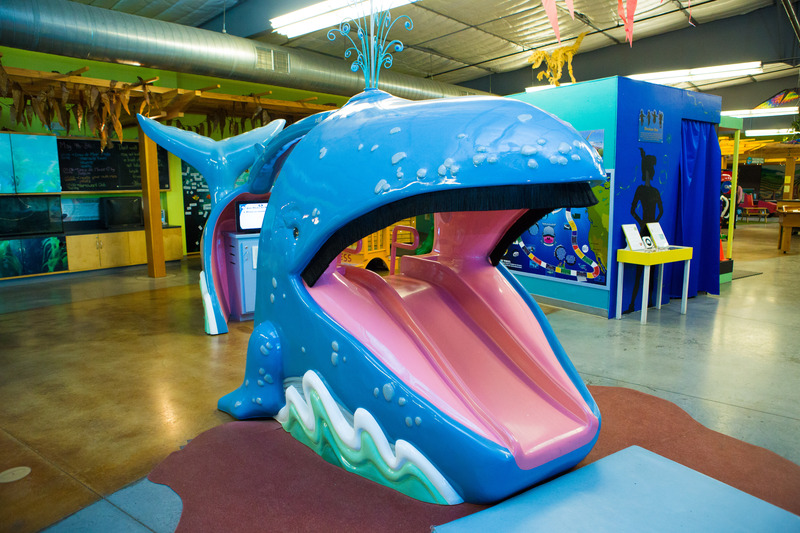 Big Blue, our blue whale, is more than fun and games. You will learn all kinds of whale facts in our interactive touch screen video and migration game. 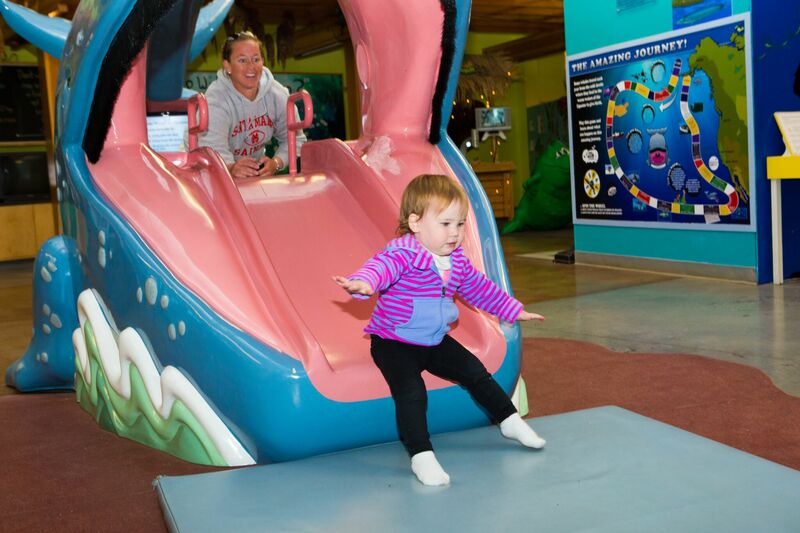 At the end of your Big Blue journey, slide through her baleen and find your way into Discovery Cove safely beneath the pier while listening to Big Blue sing her whale songs.